So, how should you go about pruning your garden? If you’re a beginner, start with the basics and follow the list below. Though they might be pricier, look for bypass over anvil pruners as these will be more effective in the long run and a better investment. These will help with those hard to reach branches. Look for shock-absorbing shears to help with arm fatigue. Only worry about these if you’ll be pruning hedges. In plants that flower or produce fruit in spring, the best time to prune is as their flowers begin to fade. This gives the plant the perfect amount of time to produce the following season’s buds. Most other ornamentals are best pruned when dormant. Prune any branches that appear to be close together or rubbing against one another. Often this friction makes for a weak spot in a plant’s ‘armour’ and causes them to become more susceptible to infection. 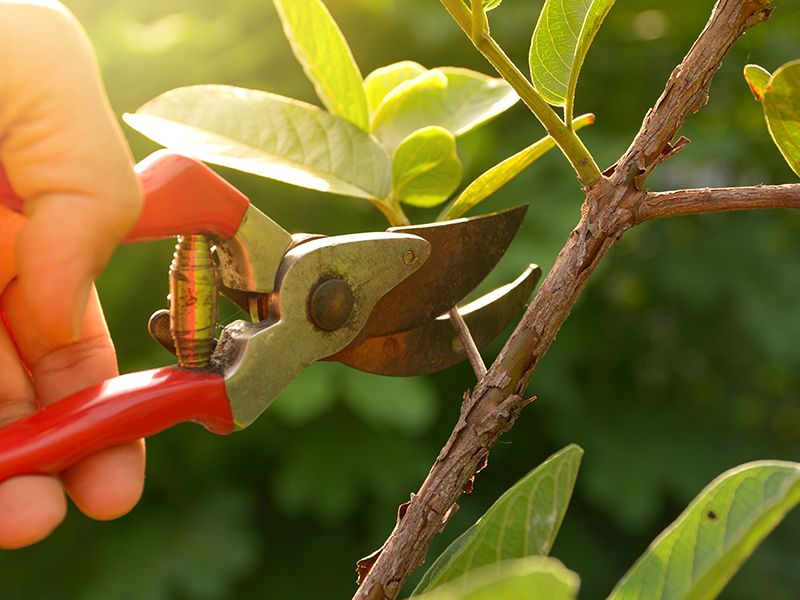 Pruning also helps to keep plants from outgrowing their space and becoming a bother – like overtaking the driveway etc. Of course, pruning isn’t the only form of plant maintenance. For all your other plant maintenance needs, take a look at our products section.